The Aprilia Tuono may look like a practical alternative to a full-blooded sportsbike but don’t be fooled, this is no winter hack. Naked bikes will typically use a detuned version of the engine from a sportsbike, but the Tuono uses the V-twin from the RSV1000 Mille that hasn’t been detuned. It is, in fact, completely mad. However, the real beauty of the Tuono, and naked motorbikes in general, is that when you slow the pace to filter through traffic or head through town you have a much better and more comfortable riding position than you would with clip-ons. 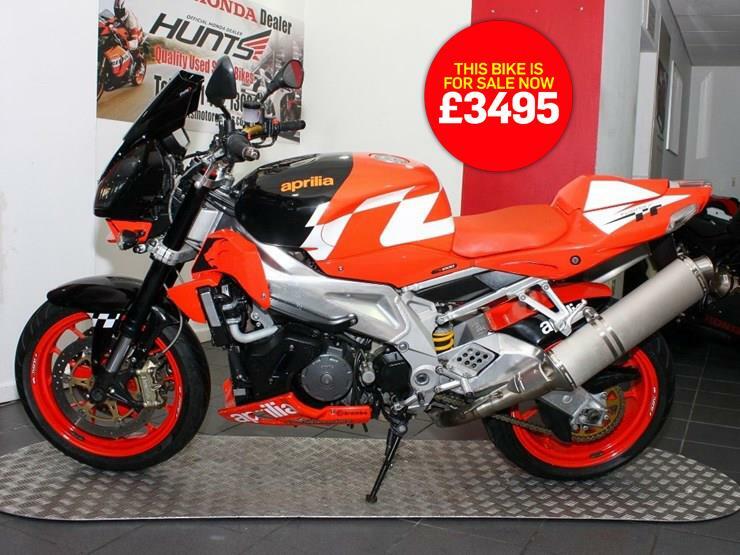 More bikes for sale on MCN.